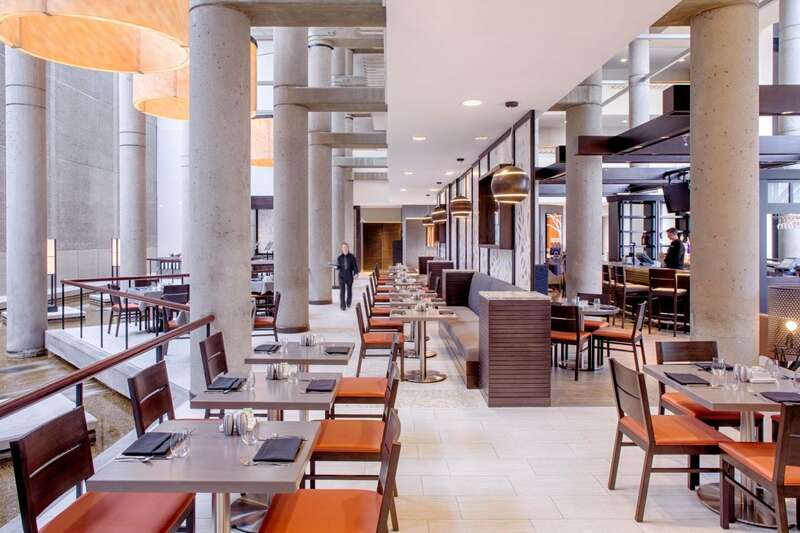 Savor regional comfort food made with seasonal and local ingredients at Bistro 300, overlooking the atrium from the third floor. Sip hand-crafted cocktails and enjoy small plates at Bistro 300 Lounge. 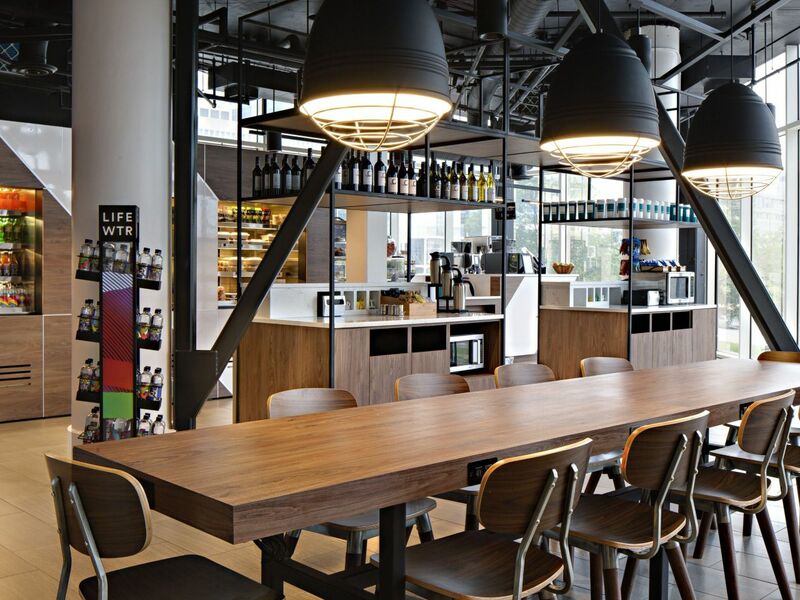 Swing by Market, serving healthy foods and Starbucks® coffee for guests on the go. For a private dining experience, order from Market’s Crave & More menu with light fare delivered to your room. Drop into Hyatt Regency Baltimore Inner Harbor's Bistro 300 for cocktails. Located on the third level, Bistro 300 is the perfect spot to meet friends after work or enjoy creative regional cuisine, seasonal menus and modern comfort food. Sample a true taste of the city’s best nightlife in a world-class atmosphere in the chic Inner Harbor neighborhood. Sip on Starbucks® coffee beverages to complement a decadent dessert, freshly baked at our 24-hour on-site café located on the second floor of the hotel. Enjoy on-the-go goods, including fresh, healthy wraps and sandwiches featuring locally sourced ingredients in easily transportable packages. 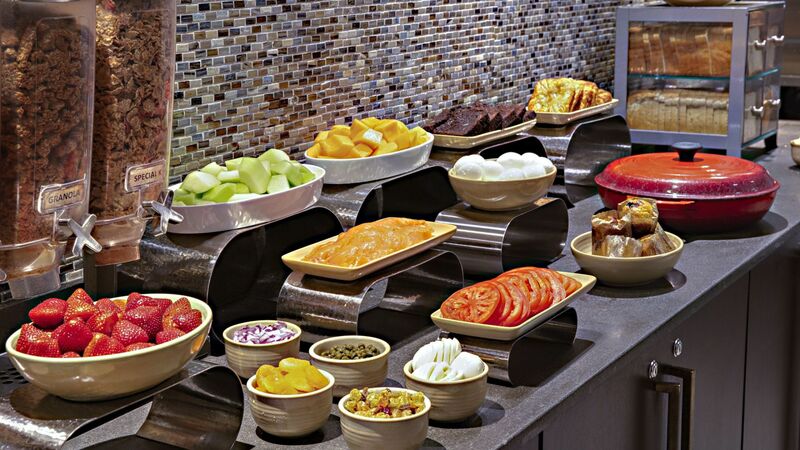 Pick up selections from the Market’s Crave & More menu or eat in with room service. While you’re here, stock up on travel essentials, gifts, or other sundries. Drop into Hyatt Regency Baltimore Inner Harbor's bar for cocktails and conversation, or watch the game on one of our 50” TVs while enjoying savory appetizers. 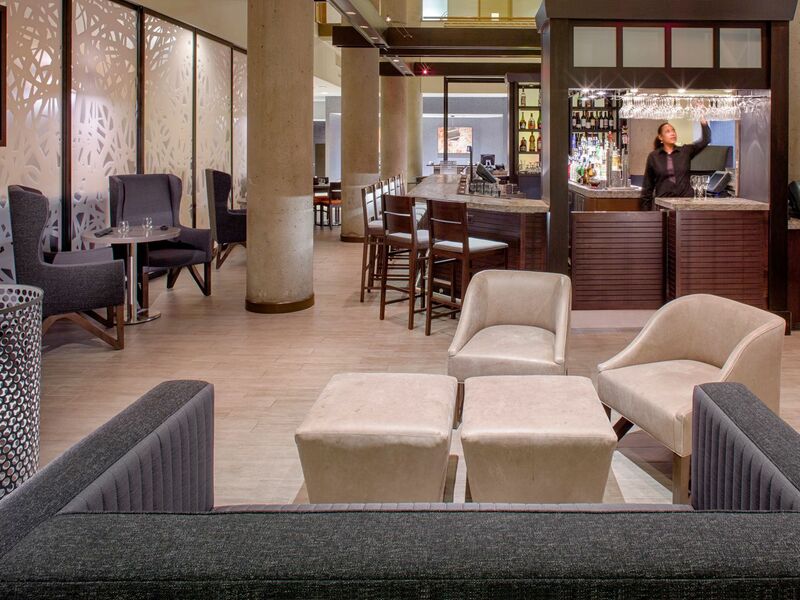 Located on the third level, Bistro 300 is the perfect bar in Baltimore to meet friends after work or enjoy small plates and a true taste of the city’s best nightlife in a world-class atmosphere in the chic Inner Harbor neighborhood. Last call at 11:30 p.m. Enjoy spectacular views of the Inner Harbor with your favorite drink or have a casual lunch at our Baltimore Inner Harbor bar and pool. 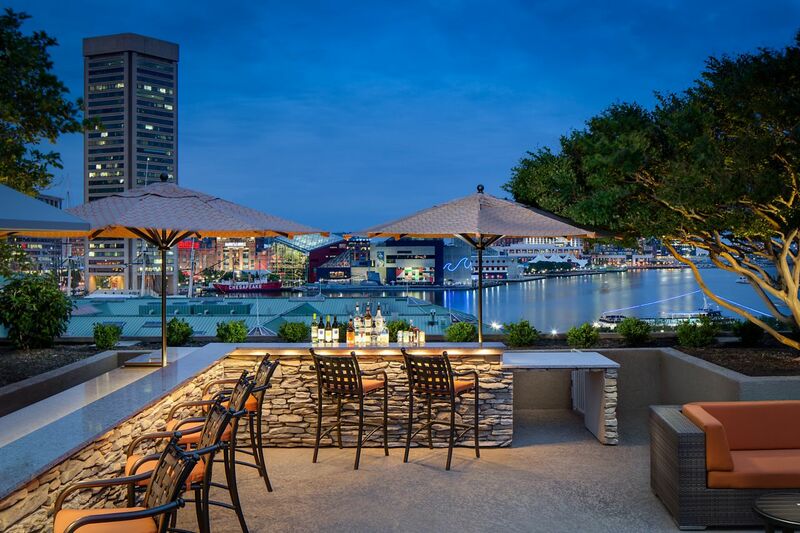 Be sure to catch sunset here each evening for a breathtaking view of the Inner Harbor. Saturday & Sunday: 11 a.m. to 7 p.m.